We create these large-scale immersion based installations in part because we hope, in some small way, to inspire people to create, dream and invent… to help generate a little spark of the imagination and to grease the wheels of ingenuity. The Raygun Gothic Rocketship is a symbol of a future that never happened, and idea that we had hoped would resonate with both the young and old. 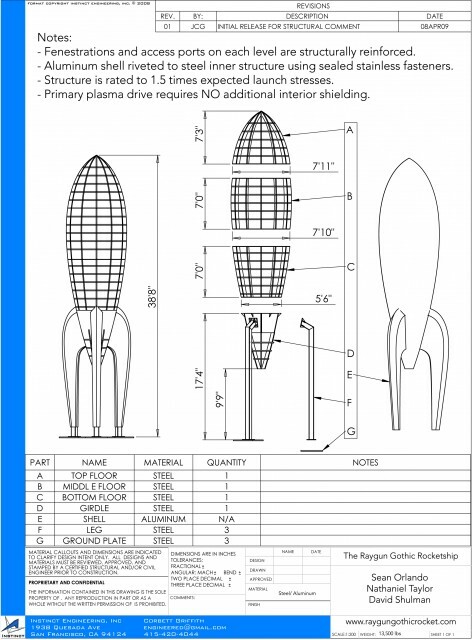 On August 20th, we received the following request for any plans or sketches of the rocketship that we would be willing to share. my 11 year old to teach him about construction. planning. We could scale accordingly. Well… Phil and his son Andrew have been busy and it is now my turn to be impressed and inspired. We received an email from Phil today with a photo of their little RGR inspired “project”. 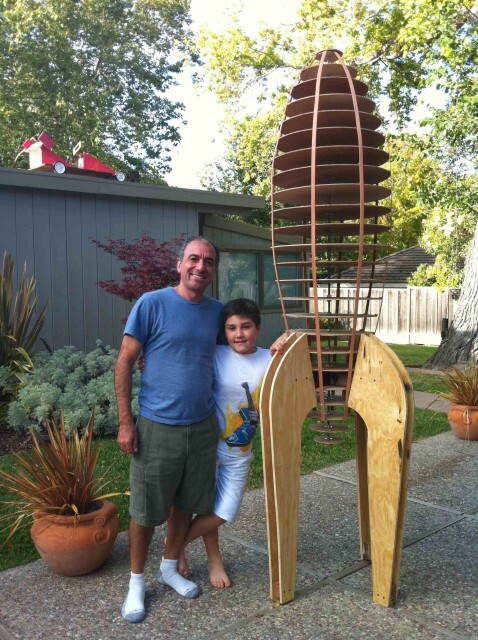 This father and son team studied our blueprints and re-created our 40′ tall steel and aluminum retro- futuristic rocketship… out of wood… in only ten days! This entry was posted on Monday, August 30th, 2010 at 9:30 pm	and is filed under The Interesting & The Curious. You can follow any responses to this entry through the RSS 2.0 feed. You can leave a response, or trackback from your own site.